OCC chopper bike, stretched, raked and lowered. Took a occ chopper bicycle and customized it. 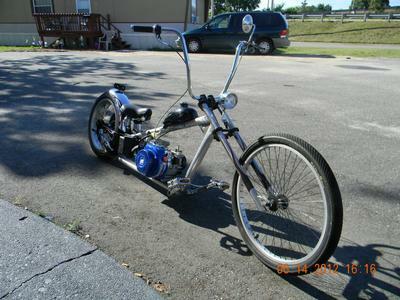 Comments for OCC chopper bike, stretched, raked and lowered.